A report by the International Monetary Fund (IMF) forecasts the Cambodian economy to continue its robust performance in the year ahead, tipping 2019 Cambodia GDP growth at 7.00 per cent, 25 percentage points below its forecast of 7.25 per cent GDP growth for 2018. 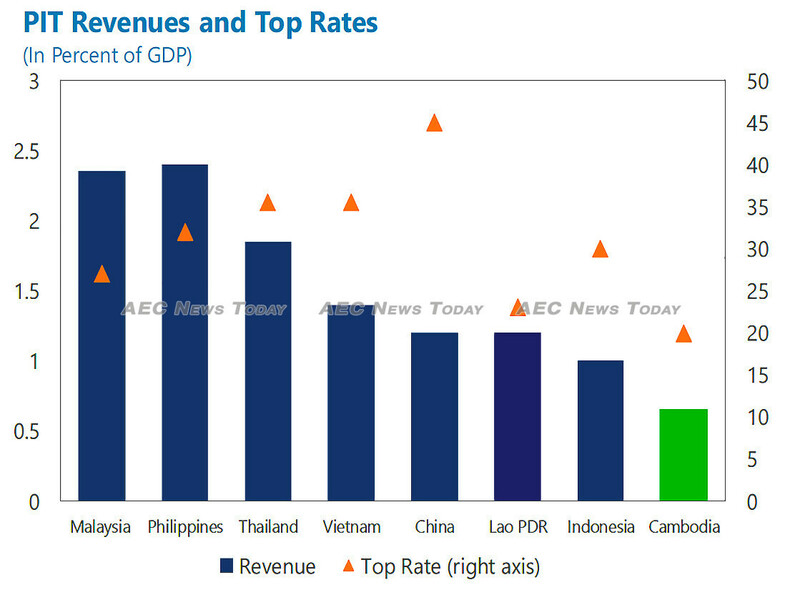 It what can only be described as a glowing report, the IMF attributes Cambodia’s strong economic performance to ‘strong external demand and expansionary fiscal policies’. Citing the kingdom’s garment exports, tourism, and the construction sectors as enjoying ‘robust’ growth, the Article IV report also notes that inflation for the year is expected to remain low. 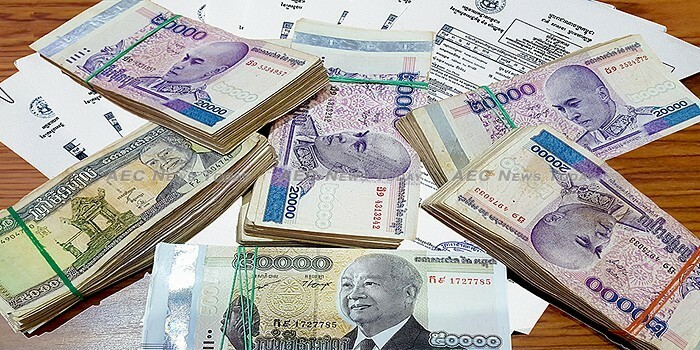 The report forecasts Cambodia’s current account deficit for 2018 to rise to 10 per cent of GDP due to higher imports, with gross international reserves expected to increase to around $9.6 billion (about five months of imports) by the end of the year. Credit growth for 2018 is expected to be strong, with the IMF forecasting growth of 20 per cent year-on-year (YoY). Cambodia’s robust microfinance industry is expected to have done particularly well this year, the IMF forecasting credit growth of 30 per cent YoY. Credit-to-GDP gap is ‘conservatively estimated at close to 10 percentage points’. Also singled out for attention by the IMF was Cambodia’s General Department of Taxation, the IMF noting a 26 per cent increase in tax collections during the 2017 year ‘partly due to one-off factors’. While tax revenue is expected to remain broadly stable as a share of GDP, the IMF cautioned that VAT exemptions and import tariff reductions for fuel and basic foods will likely see the deficit between current and capital expenditure increase from 1.1 per cent in 2017 to 2.2 per cent of GDP in 2018. Complimenting the government on its ‘robust growth performance’ and progress on poverty reduction, the IMF executive directors warned of challenges to sustainable growth and development posed by ‘elevated financial sector vulnerabilities, development spending needs, and governance weaknesses’. Welcoming plans by the government to restrain current spending and raise revenues, the IMF encouraged authorities to take advantage of the current strong economic environment to intensify policies and structural reforms to enhance the economy’s resilience, and safeguard fiscal and financial stability. While noting that Cambodia remains at low risk of debt distress, the report urged close monitoring of contingent liabilities, including from PPPs, and urged the strengthening of institutional frameworks. 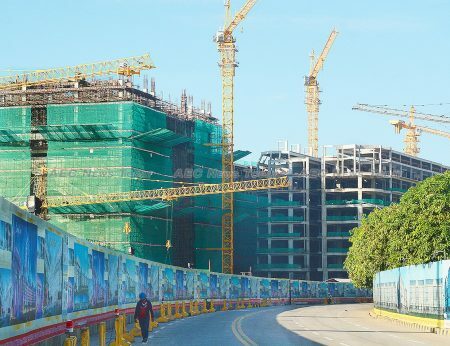 While the Cambodia construction industry is one of the economy’s driving forces, the IMF warns housing affordability is being eroded, with ‘anecdotal evidence that growing oversupply is dampening prices of high-end apartments’. Noting that credit growth to the real-estate sector has averaged around 35 per cent since 2016, the report warns of unmonitored and unregulated lending by developers. Reporting on real-estate developments is in need of strengthening, said the IMF, noting that significant data gaps currently ‘complicate the assessment of risks’. The IMF also recommended limiting new banking licenses until supervisory capacity is sufficiently scaled up, while the risk weights for real-estate related lending commensurate with banks’ risk profiles should be given a priority. Noting that bank profitability has declined as interest margins have fallen and non-performing loans (NPLs) edged up, ‘the true level of non-performing loans may still be understated’, the reports states. Supporting the government’s Revenue Mobilization Strategy (RMS) the IMF urged the raising of real-estate taxes, abolishment of corporate income tax holidays for new investments, and maintaining the statutory corporate tax rate at 20 per cent. In the areas of governance and corruption the IMF noted that further advances are needed to improve the anti-corruption framework and institutions. Work is needed to comply with the Anti-Money Laundering and Countering Financing of Terrorism Act 2009 (AML/CFT), the report noted. Analysts say the loss of EBA has the potential to decimate the the country’s robust economic growth. In 2016 exports to the EU accounted for about 70 per cent of the Cambodia garment industry’s shipments, with total exports to the EU topping $6.2 billion. Noting that debt sustainability is vulnerable to export and growth shocks, the IMF report states “trade sanctions stemming from international concerns about political developments” as something which might hamper exports and foreign direct investment, and dent confidence” in the year ahead.